FC Barcelona have revealed the jersey that they will be wearing during the Copa del Rey Final against Alavés on Saturday. 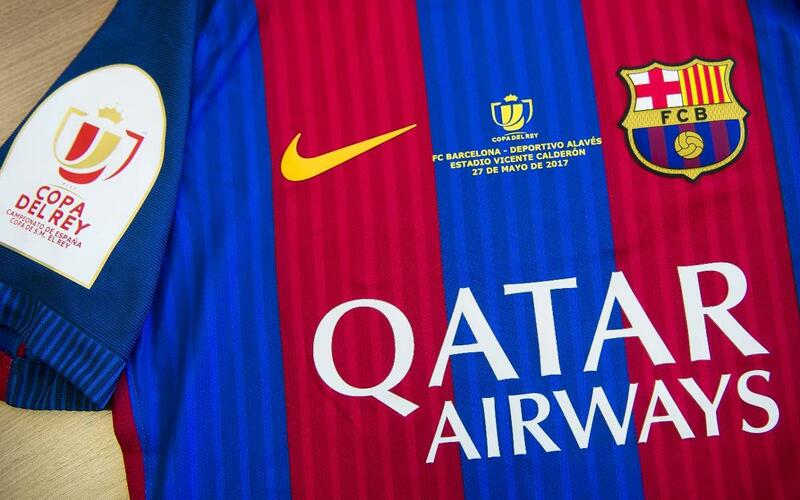 The name of the two clubs, the date of the final (27 May 2017) and the stadium (Vicente Calderón) feature on the chest, while the logo of the competition is on the sleave. It is also worth remembering that this will be the final match ever at the famous Vicente Calderón stadium in Madrid. It will also be Luis Enrique's last ever game as Barça boss and he will be looking to help the team to their third straight Copa del Rey title.